I recently finished an Android App that uses Google Places API to show cyclists that visit Amsterdam where the nearest bike shop, hotel, atm are, while working on this app I did research into Android Libraries and other Android resources, I kept a list of the libraries that I found interesting. Depending on what you are looking for like a maps library, chart library, or a GUI interface, I have listed what I found below and you can visit the respective links to get a copy or read more. Here is the list of libraries. If you are visiting Amsterdam get my Amsterdam Bike Guide today. Google Maps Android Maps Object – Maps are represented in the API by the GoogleMap and MapFragment classes. Google Places API Web Service – Get data from the same database used by Google Maps and Google+ Local. EazeGraph – An Android chart and graph library. WilliamChart – Android library to create charts. MPAndroidChart – A powerful Android chart view/graph view library. Pull to refresh – A swipe refresh layout is available in the v4 support library. Cardslib – Android Library to build a UI Card. AndroidStaggeredGrid – An Android staggered grid view which supports multiple columns with rows of varying sizes. AQuery – A light-weight library for doing asynchronous tasks and manipulating UI elements in Android. Flow – A small library that helps with describing an app as a collection of moderately independent screens. Crouton – Context sensitive notifications for Android. DragSortListView – Android ListView with drag and drop reordering. MaterialProgressBar – Material design ProgressBar with consistent appearance. AndroidFillableLoaders – Android fillable progress view working with SVG paths. NexusDialog – Library that allows you to easily and quickly create forms in Android with little code. Appszoom developers – Earn money for displaying ads in your app (pay per install). AdBuddiz – Monetize your Android and iOS apps with AdBuddiz premium full-screen ads. Parse – Build your app on any platform. ActionBarSherlock – An extension of the support library designed to facilitate the use of the action bar design pattern across all versions of Android with a single API. Emojicon – Adds emoticons to your app. FloatingLabel – FloatingLabel Allows you to create a blow kind of EditText. Doesn’t have Gradle or Maven Support. MaterialEditText – Supporting Floating Labels, Single Line Ellipsis, Max/Min Characters, Helper Text and Error Text with Custom Colors. MaterialDrawer – Simple take on a material design navigation drawer. Page View indicator – Support for horizontally scrolling ViewPager. SlidingMenu – Library to create applications with slide-in menus. SlidingTutorial – Simple library that helps to create awesome sliding android app tutorials. Android-Transition – Allows the easy creation of view transitions that react to user inputs. Android-View-Actions – Makes creating complex animations for views easy. Android View Animations – Cute view animation collection. NineOldAndroids – Library for using the Honeycomb animation API on all versions of the platform back to 1.0. Rebound – Rebound is a java library that models spring dynamics. Android-crop – Library project for cropping images. Android-Image-Filter – Library project for applying image filters easily. CircularImageView – Custom view for circular images while maintaining the best draw performance. Fresco – An Android library for managing images and the memory they use. Glide – An image loading and caching library for Android focused on smooth scrolling, Recommended by google. Universal Image Loader – Asynchronous, out of the box loading and caching of images. Android-remote-notifications – A Google GCM/Amazon SNS alternative using pull instead of push. Sinch – Use the Sinch APIs to enhance your app with Voice, SMS, Verification, Video, and Instant Messaging. DbInspector – Android library for viewing and sharing in-app databases. RestorableSQLiteDatabase – A wrapper to replicate android’s SQLiteDatabase with restoring capability. ActiveAndroid – Active record style ORM. DBFlow – Fast and powerful ORM with compile-time annotation processing. GreeDAO – Light & fast ORM solution. NexusData – Object graph and persistence framework for Android. ORMLite – Lightweight ORM Java package for JDBC and Android. Sugar ORM – Insanely easy way to work with Android Databases. Retrofit – Retrofit turns your REST API into a Java interface. Gson – A Java serialization library that can convert Java Objects into JSON and back. AssertJ Android – AssertJ assertions geared towards Android. Robotium – Android UI Testing. Roboletric – Unit test framework to run tests inside the JVM on your workstation, not in the emulator. Mixpanel – Analytics platform to analyze the users. MobileAppTracking – Tracking your marketing campaigns across multiple ad networks. Byte Buddy – Runtime code generation library with support for Android. EventBus – EventBus is a library that simplifies communication between different parts of your application. Otto – Event Bus for Android. Weak handler – Memory safer implementation of android.os.Handler. Bugsnag – Cross-platform error monitoring. Crashlytics – Easy crash reporting solution. Splunk MINT – Monitoring, Crash Reports, Real-time data, Statistic. Android Volley – Official Android HTTP library that makes networking for easier and faster. Asynchronous Http Client – An Asynchronous HTTP Library. Ion – Good networking library for Android. IceSoap – Easy, asynchronous, annotation-based SOAP for Android. OkHttp – An HTTP+SPDY client for Android and Java applications. node-android – Run Node.js on Android. RoboSpice – Library that makes writing asynchronous network requests easy. SmartGattLib – SmartGattLib is a Java library that simplifies the work with Bluetooth SMART devices. AndroidAnnotations – Java annotations with dependency injection. Butter Knife – View “injection” library for Android. Best Practices for Performance – Android Official Training on Performance. Developing for Android – Chet Haase’s series, including Memory, Storage, UI Performance. Detect and Resolve Performance Problems on Android – Use multiple ways to detect and fix Android Performance Problems. Facebook Engineering blogs tagged android – Including many articles on performance. Performance Tips – Android’s Official Perf tips. AndEngine – Free, Fun and Fast Android 2D OpenGL Game Engine. Rajawali – Android OpenGL ES 2.0/3.0 Engine. Unity – Cross-platform game engine for mobile. Vuforia – Augmented Reality library. Android Support library – The Android Support Library package is a set of code libraries that provide backward-compatible versions of Android framework API. Android Priority Job Queue – A Job Queue specifically written for Android to easily schedule jobs (tasks) that run in the background, improving UX and application stability. Android Annotation framework – An Open Source framework that speeds up Android development. Caffeine – Speed up your Android development. Easy Rating Dialog – A plug and play android library for displaying a “rate this app” dialog. Gradle Retrolambda Plugin – A Gradle plugin for getting java lambda support in Java 6, 7 and Android. Guava: Google Core Libraries for Java – Google Core Libraries for Java 6+. RateMeMaybe – Asks the user if (s)he wants to open the Play Store to rate your application when certain requirements are met. Tape – A lightning fast, transactional, file-based FIFO for Android and Java. ZXing Android-Integration – Open-source, multi-format 1D/2D barcode image processing library. Android Design in Action Video series The video series by Android Design Team of Google. Android DevBytes Video Series – It is the technical counterpart of Android Design in Action series. Android Hive Tutorials – Very good tutorials for beginners. Android Weekly – Newsletter with weekly information about Android. Android Asset Studio – Generator for icons and other assets. Android Toolbar – A Toolbar for use within application layouts. Android UI design resources – Gives you a wide variety of design resources. Android-blogs – List with blogs about Android. 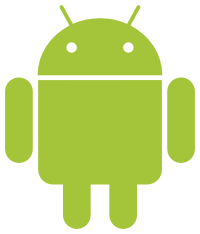 Developing for Android – Article about what you need to consider when developing for Android. Device Art Generator – Wraps app screenshots in real device artwork. Material Design Palette – A Palette to pick the hex code color for your material design. Pencil Project – An open source prototyping software. Square libraries – Multiple high-quality libraries by square. Anko – Anko is a library which makes Android application development faster and easier. Corona SDK – Framework to create native iOS and Android Apps (especially Games). Groovy on Android – Introduction to Groovy on Android. Ionic Framework – A framework to build hybrid apps with mobile-optimized HTML, CSS and JS with AngularJS. Macroid – A modular functional UI language for Android. React Native – A framework for building native apps with React by Facebook. Reapp.io – Cordova based framework to build hybrid apps with mobile-optimized HTML, CSS, and JS with ReactJS. Scaloid – Library for less painful Android development with Scala. SwissKnife – A multi-purpose library containing view injection and threading for Android using annotations. Xamarin – Framework to create native iOS, Android, Mac and Windows apps in C#.